Our campsite is in Dordogne but why do we also camping in Périgord? The French departments were born after the French Revolution of 1789. 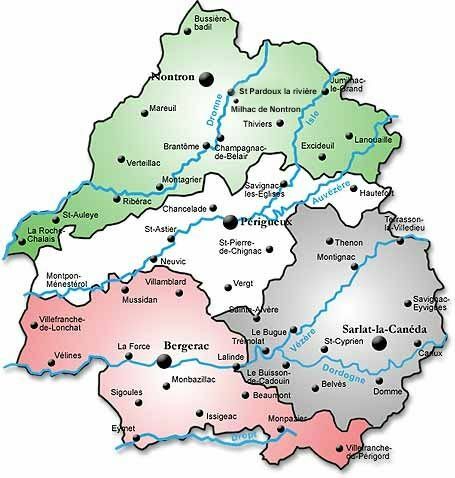 It is from this date that the historic territory of Périgord became the Dordogne department. 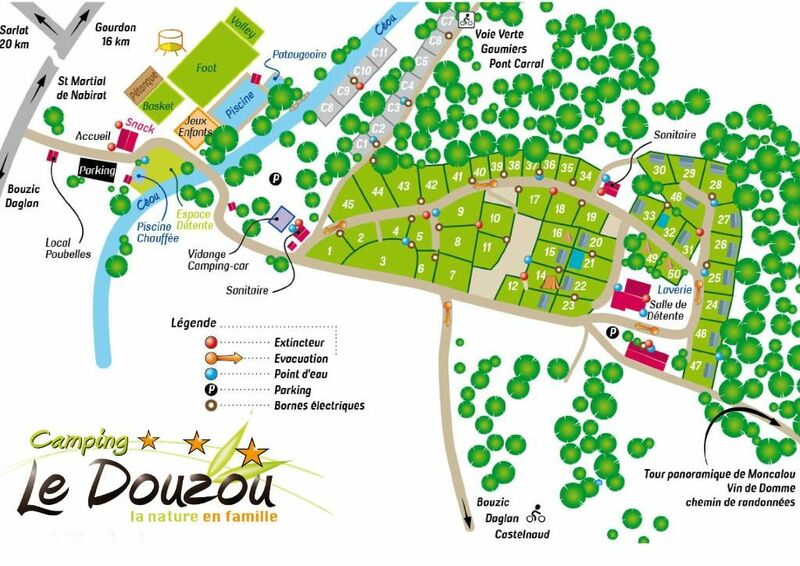 The Douzou is a campsite in Dordogne Perigord. Linked to its history and gastronomy, the term Périgord has never disappeared. He remained associated and became a synonym for the Dordogne. It was much later and for tourist reasons that the colors green, purple, white and black were created to divide the Dordogne and Perigord into four territories. Our campsite is in Black Perigord. 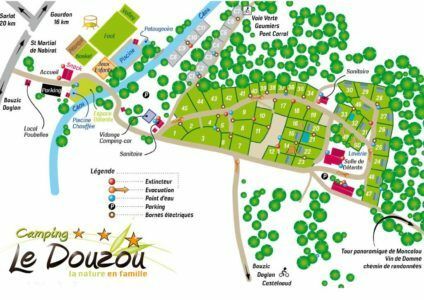 Located in the south east of the Dordogne Department, it is in the black Perigord that our campsite is located. It encompasses the Vézère valley and much of the Dordogne valley. The black color is not associated with the famous truffle of which the Dordogne is the first French producer. It is for the density of its cork oak forests giving a dark color to the landscapes that the black Perigord takes its name. It is the most touristy of the four Perigord thanks to its magnificent panoramas and the wealth of its patrimony. You will find famous castles such as Castelnaud la Chapelle, beautiful typical villages such as Roque Gageac, symbolic places of prehistory as the Eyzies, not to mention Sarlat, its chief place steeped in history. The other Perigord near the campsite. Located in the south west of the Dordogne, the purple evokes the color of the wine. Its main city Bergerac is famous for its vineyards and is the second largest winery in the Aquitaine region behind Bordeaux. The Purple Perigord is crossed by the river Dordogne. It is also known for its bastides as Villefranche du Périgord, Montpazier, testimony of the English invasion during the Middle Ages. Like the rest of Perigord, you will also find beautiful landscapes. It is located in the center of the Dordogne and crossed by the rivers of Isle and Auvézère. It is in white Perigord that is located Périgueux, chief town and largest city of the Dordogne. White is related to the limestone rock that makes up its many cliffs. It has far fewer forests than its neighbors. Located in the north of the Dordogne, the green Perigord takes its name from its vegetation largely watered by the numerous rivers that cross it. It was Jules Verne who gave his name to this territory. Composed of meadows, forests, it is a hilly territory crossed by the rivers Dronne and Auvézère. The main cities are Nontron, Dronne and Ribérac. The Dordogne is therefore a rich and varied territory. Each Perigord has its cultural particularity and a different landscape. The black Perigord where our campsite is located is the most popular and the most visited. Its many castles, villages, its gastronomy and the beauty of its nature make it a unique place in France. Do not hesitate to visit us, we will guide you and advise you to discover all these riches.